This was my second time making lemon bars but first time with fruit. It really gives it a little extra flavor to cut down on the sweetness of the lemon custard. A recipe for lemon raspberry bars was tweeted by AllrecipesNews last Thursday so I bookmarked it and made it on Saturday but used strawberries instead of raspberries. The recipe is from Two Peas and Their Pod, @TwoPeasandPod on twitter. Here's my version, using strawberries instead of raspberries. 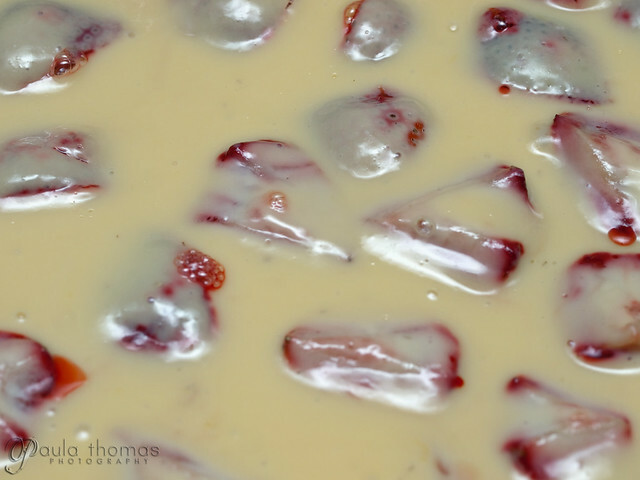 I also used a 9x9 pan since I don't have an 8x8 pan. Preheat the oven to 350F. Spray a 8x8 or 9x9 inch baking dish with cooking spray. Set aside. In a medium bowl, combine the graham cracker crumbs, melted butter, sugar, and lemon zest. Stir until graham cracker crumbs are moist. Press crumbs into the prepared pan, pressing the crust mixture one inch up the side of the pan. Bake for 8-10 minutes, until golden brown but not burnt. Remove from oven and allow to cool to room temperature. Once the crust is cool, combine the egg yolks and condensed milk until well mixed. Stir in the lemon juice and lemon zest. Stir until mixture begins to slightly thicken. 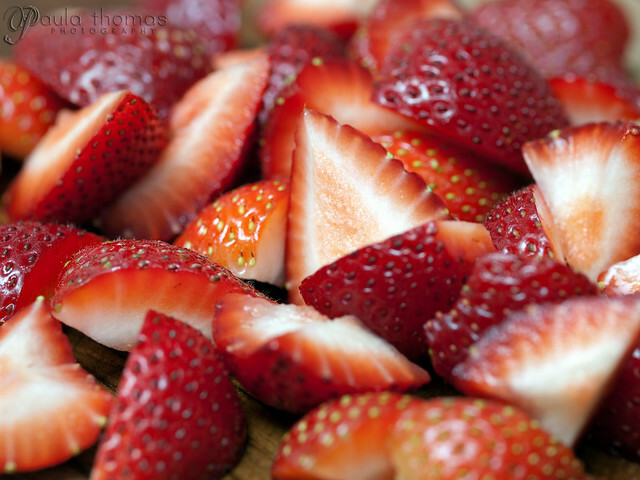 Gently fold in the strawberries. 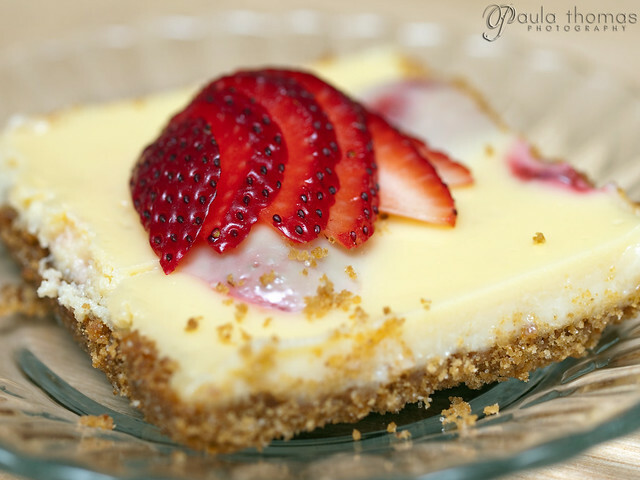 Pour the lemon strawberry filling evenly over the graham cracker crust. Bake for 15 minutes, or until just set. Love your strawberry version. Lovely photos!